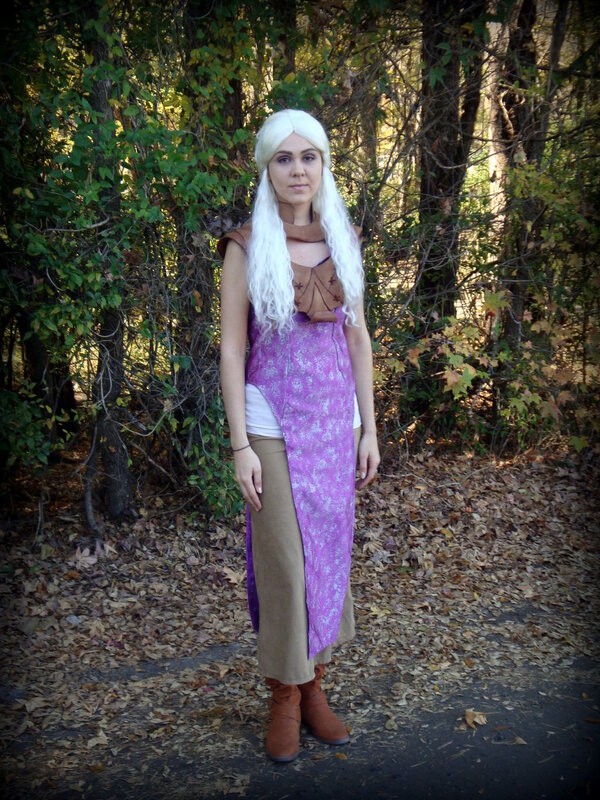 Daenerys Costume Has Hand-Painted Fabric Instead of a Dragon « Adafruit Industries – Makers, hackers, artists, designers and engineers! Lay out your chosen fabric in its final state (i.e. 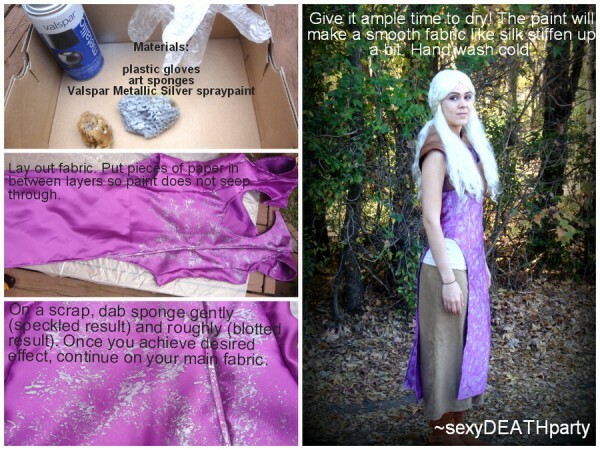 the sewn and completed dress), put pieces of paper in between layers so paint does not seep through, dab your sponge into silver spray paint (acrylic should also work), and lightly press onto the fabric until you’ve achieved the desired look. You should practice on a scrap piece of fabric first. View the tutorial and pattern at DeviantArt.